You asserted that “there was no connection between these diverticula and the trachea, as there is between the subcutaneous throat sac and the trachea in the emu”. How sure are you that there is no connection at all? Or are you only making the weaker claim that if there is a connection somewhere along the length, then it’s much smaller than in the case of the emu throat-sac and you’ve not found it yet? I’m dead sure–once I had the trachea all the way off, I checked for holes, and there weren’t any. 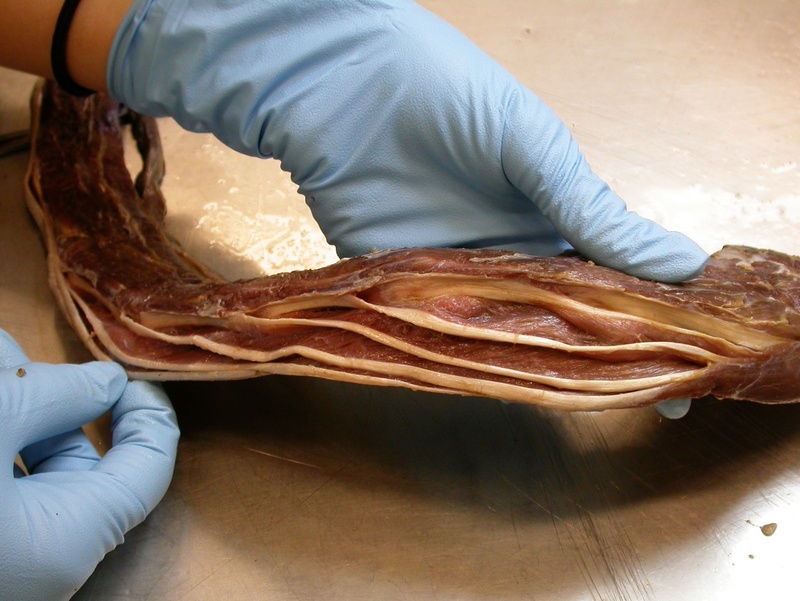 My guess is that these paratracheal diverticula are branches off the clavicular air sac, which sends all kinds of funky diverticula around the shoulder joint and among the thoracic viscera. But the rest of the bird is long gone so I have no ready way to test that guess. Maybe some luckier person with a complete dead rhea will leap into the gap. I suppose the thing to do would be close off one end of the trachea, then try to inflate it by blowing in the other end. That would establish the absence of even tiny perforations. Something that occurs to me after reading the X-men origins post is that pneumatic epithelium acting as packing material (instead of fat as in mammals and other reptiles) might be cheaper to grow than fat. Not sure how you’d test this however. Yeah, that’s a darn good point. Cheaper to grow, cheaper to maintain, cheaper to move…just cheaper all around. As you point out, though, testing is the sticking point. We know very little about the physiological behavior of these diverticula. If we’re going to sort out how and why they evolved, we need to know more. is studying anatomy difficult, and how much it take , and what are the majors in studying anatomy for animals to be specific ? where i should go to start ? I suppose it depends on whether you’re approaching anatomy with an eye toward getting a job in the field, or for its inherent interest but without any designs on employment. If for a job, you’ll probably need a postgraduate degree, either an MS or PhD, in a relevant field, about which more in a second. If for personal interest, all you need is a source of dead animals and some curiosity. Mike’s posts in this series should give you some ideas; he’s essentially self-taught as an anatomist (aren’t we all, though?–at the end of the day, you really learn anatomy with something dead in front of you and scalpel in hand) and he’s been quite successful at acquiring interesting animals to dissect. and what are the majors in studying anatomy for animals to be specific? Oh, loads. 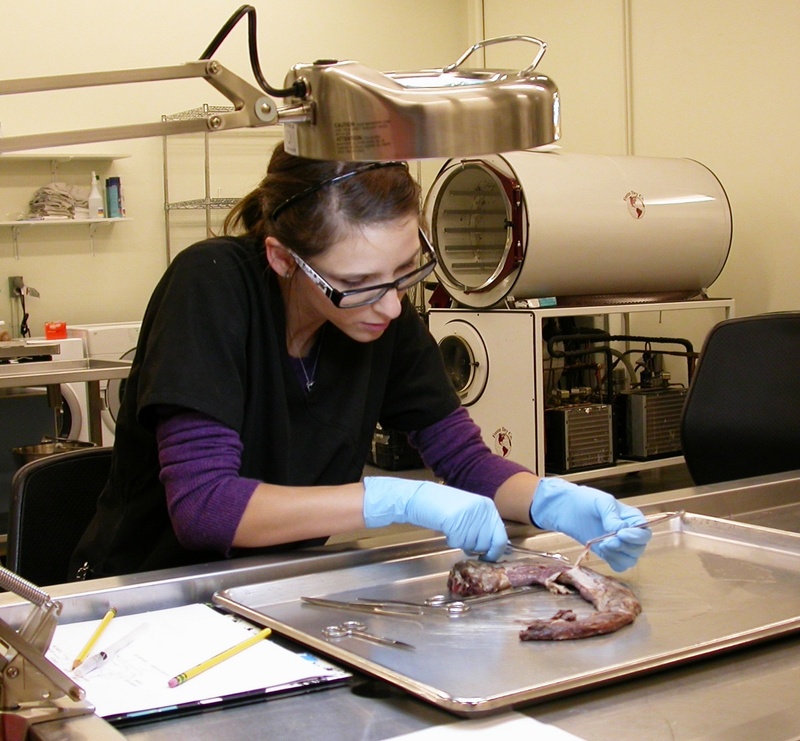 Anthropology, veterinary medicine, organismal biology, paleontology…the list goes on. There is no one clearly defined path to anatomy. Even as professionals it is something that some of us are more into than others. It almost seems that people who want to be anatomists find a way to make it happen, regardless of what degree program they are in or whether they are in academia at all. Taxidermists, for example, usually know a ton of anatomy from working with dead animals. where i should go to start? Get something dead and cut it up. A roadmap to what you’re cutting is often useful; you may be able to find some anatomical reference books at your local public library or through Amazon. This book is the finest general vertebrate dissection guide I have ever seen: the illustrations are just gorgeous and it is one of the few that pays more than lip service to vertebrate phylogeny. Whatever animal you’re cutting up will probably be sufficiently close to one of the model organisms in the book for it to be useful (an ostrich isn’t _that_ different from a pigeon, etc.). If you need more technical resources (i.e., scientific papers), I am happy to report that acquiring them is a solved problem: here are your instructions. Hope all this helps! Good luck with your quest, it’s a noble one. In emu, the tracheal diverticulum is present. 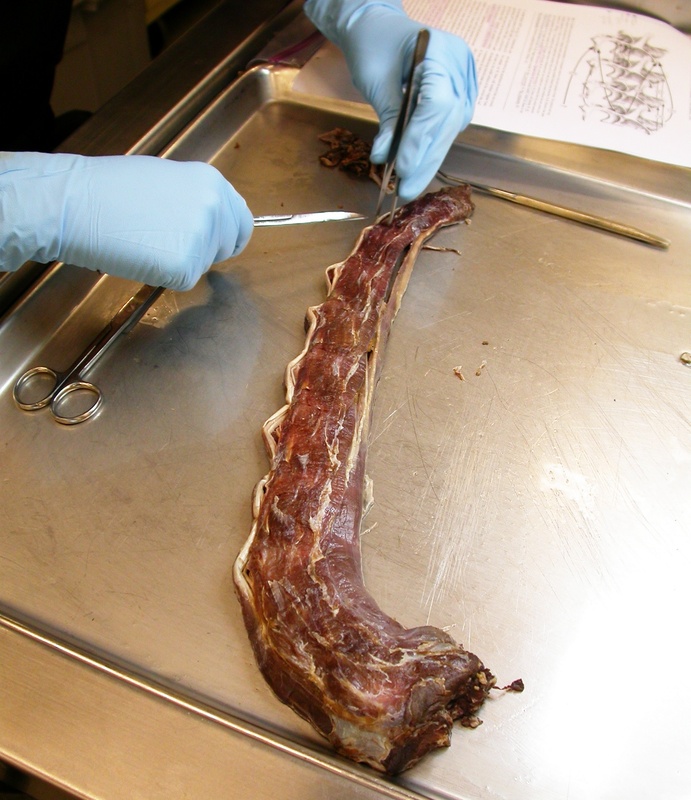 In the lower part of the trachea, just before the thoracic inlet, is a segment of trachea comprised of 7 to 12 incomplete rings that form a tracheal diverticulum or open cleft. 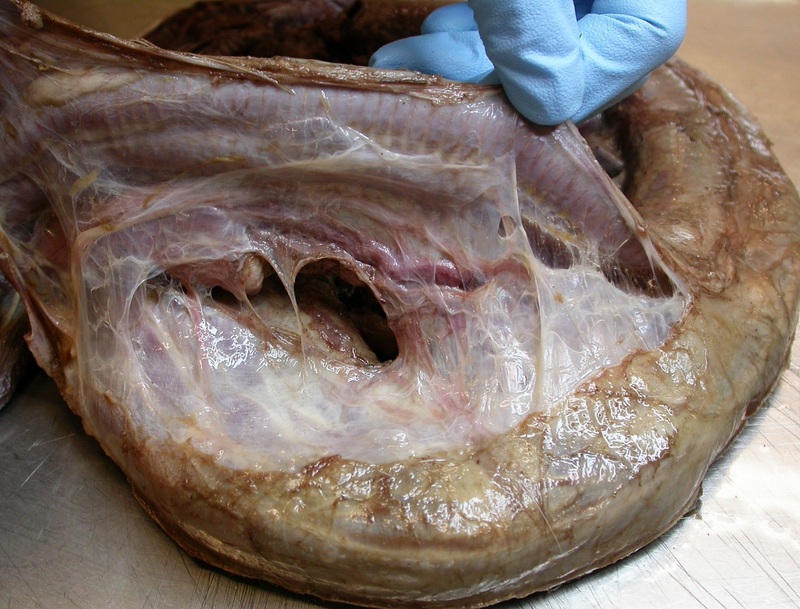 A very thin membrane covers this cleft. During breeding season this membrane inlarges, creatng a pendulous pouch. This pouch is easy to see in females during their first three years of breeding, but in subsequent years does not enlarge as much. Males also have this cleft, but the membrane does not enlarge as much. This cleft is the source of the booming and grunting.